Read on for dates of important #BikeMonth events and tools to use to make your May better. To get things rolling in your community or improve longstanding events with new ideas, the League created a step-by-step guide that will help you in creating a successful Bike Month event in your organization, workplace, city, or state. While we commonly refer to Bike to Work Day events, because they've been the most popular historically, the tips and techniques will help you plan any Bike Month event, from a citywide ride to a small gathering within your own company or organization. Click here to download it. We want everyone to feel the excitement of gazing over the handlebars, no matter their riding style or destination. So this year's posters put the viewer in the saddle and emphasize that May is Bike Month, an opportunity to, not only Bike to Work, but participate in a growing variety of events that celebrate the full spectrum of people on bikes. We've left room for you to add information about your event -- and invite you to download one of the four distinct posters (including a bike share bike!) to help promote your events. Click here to download. Whether you're organizing an event, work at a Bicycle Friendly Business or have your own blog, show your love for bicycling by adding a web button or banner to your website that shares your excitement that May is Bike Month. We have both square buttons and horizontal banners depending on your web needs. Don't forget to link to bikeleague.org/bikemonth so everyone can access our promotional resources as well! Click here to download. I'm out of shape. It takes too long. I have to dress up. The roads just aren't safe for people on bikes! You've probably heard these laments from friends and family who want to commute by bike but have legitimate concerns about whether it can fit into their lifestyle. To address these common worries about whether biking to work is possible, we created an easy-to-understand list that shares insight and tips that tackle safety, weather, gear, bike parking, attire, multi-modal solutions and more. Perfect for sharing on social media! Click here to download. 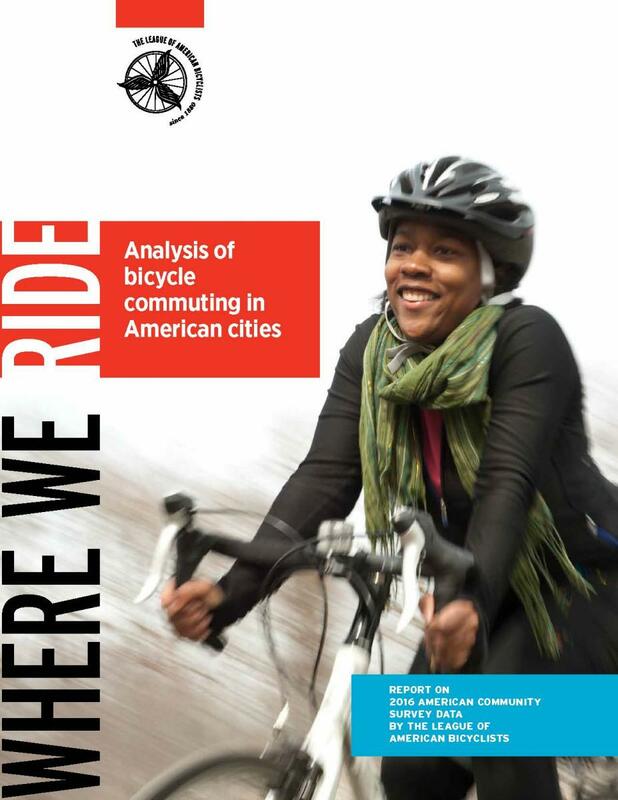 In our 2016 report, Where we Ride: An Analysis of Bicycling in American Cities, we take a look at bicycle commuting throughout the nation, looking at broad trends and more particular analyses (such as top bike commuter rates in cities of various sizes). We've crunched the numbers so information on your community is easy to share and easy to find. A key resource for cyclists, policy makers and the general public for media relations and outreach for Bike Month events! Click here to download.